On this week’s RFC Mini-cast John and Exvee discuss Combiner Wars Megatron. 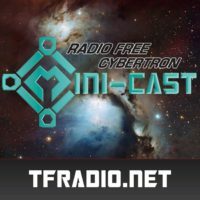 On the fifth episode of the RFC Mini-cast John and LiquidVelcro Combiner Wars, Robots in Disguise, Battle Tactics and more. On the fourth episode of the RFC Mini-cast John and Don discuss schisms in the Transformers fandom. On the second episode of the RFC Mini-cast John and Melvarr talk about Masterpiece Tracks and Transformers games!